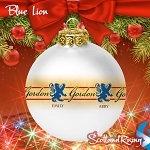 Any clan, Person or Surname on this 2 3/4" Christmas ornament available in white only. 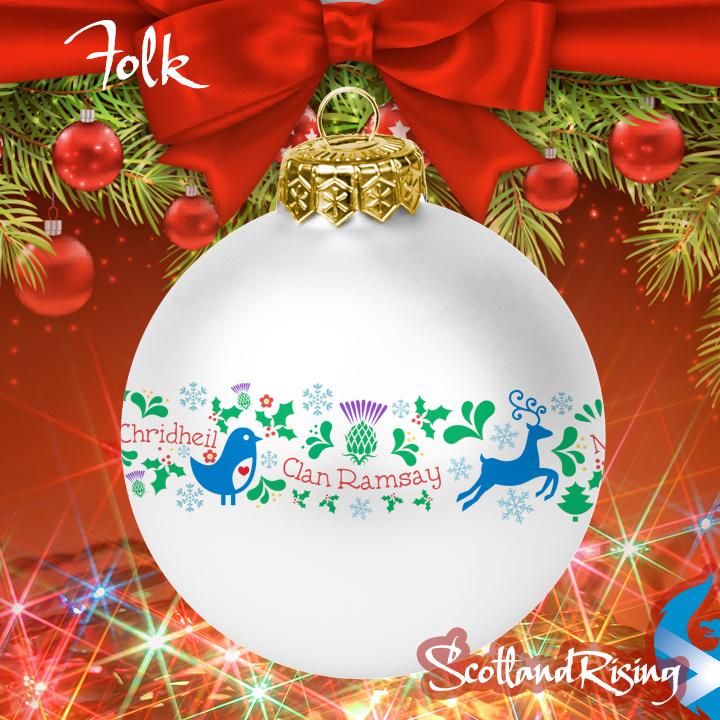 Folk Style give this design and old world feel featuring the Gaelic Phrase "Nollaig Chridheil" meaning "Good Wishes at Christmas Time". The ornament is double coated for scratch resistance. Add a stand and make a year around decoration for your desk or anywhere in your home. Order ships in 3-7 days. These are made to order! Add an ornament stand for 2.99.